PAC fundraising best practices, such as peer to peer recruitment, senior management support, etc., are well known among seasoned PAC professionals. Yet, the average PAC participation rate has stayed in the 18%-33% range for the last 15 years (BIPAC). With the proliferation of PAC fundraising best practices, why isn’t PAC participation at 90%? I believe it’s because the rationale for joining the PAC is poorly developed and does not take into consideration the science of PAC persuasion. We believe your PAC can and should be more than a conduit to distribute candidate contributions. It can have a purpose — a purpose that creates greater understanding of the risks in your external operating environment, and the motivations of opposing special interest groups, which leads to…greater emotional allegiance to your organization. We believe your PAC can and should be more than a conduit to distribute candidate campaign funds. It can have a purpose — a purpose that creates greater understanding of the risks in your external operating environment, and the motivations of opposing special interest groups, which leads to…greater emotional allegiance to your organization. Read about TSG’s Purposeful PAC® philosophy here. A Fortune 50 company had excellent support from senior Cardinal leaders, with 100% of their executive leadership team contributing to the PAC. However, aggregate PAC receipts were stalled, and their marketplace competitors were raising more PAC funds. To be consistent with their market position, the government relations team recognized the need to exceed the PAC fundraising progress of their competitors. The team set a goal to raise $400,000.00 at the end of the calendar year and $500,000.00 at the end of the election cycle. A critical aspect of reaching the goal was to help their senior leaders share the importance of PAC engagement with their employees in an authentic way, with less emphasis on legislative updates and more on their personal rationale for contributing to the PAC. We created a PAC narrative guide that allowed each executive to create their own personal story about the importance of political and PAC engagement. The guide made it easier for them to create employee PAC awareness. . . .and reach their election cycle fundraising goal a year early. Not content with meeting this goal, the company again hired us to test their assumptions regarding the rationales for PAC disengagement. We employed our Crossfire Research methodology which tests messages in a competitive environment, and applied a logistic regression to the findings. This inferential research methodology uncovers the variables that predict PAC contributions, as well as the messages, messengers and mediums that repel PAC engagement. We uncovered eight distinguishing PAC variables that predict whether someone will contribute to their Political Action Committee, and to what degree. For example, their team now knows that someone who was first exposed to the PAC in a particular manner is 65% less likely to contribute than someone familiarized to the PAC in other ways revealed by the research. This knowledge allows the Government Relations team to accurately focus their effort, messages, and recruit the right PAC messengers to accelerate their fundraising. Despite major corporate restructuring, the International Paper PAC was growing. Many PAC professionals would congratulate themselves on this accomplishment and move on. Not IP—in spite of their success, the team realized that to grow the PAC, it had to be integrated into the culture in diverse facilities across the country. The hallmarks of IP’s PAC success are their research-based approach to PAC fundraising, rigorous post-campaign research, and a high degree of collaboration between the Government Affairs team and the PAC Board of Directors. Designing and deploying research to determine what predicts that an IP PAC prospect will or will not give at the new suggested giving guidelines. The inferential statistical analysis allows the IP team to create precise messaging that encourages guideline giving, because we are now able to predict future PAC prospect behavior. Conducting a PAC awareness and message retention survey to uncover the level of general PAC awareness in various facilities across the country. The result? New messages were integrated into the fundraising campaign, and the campaign exceeded the goal by 137% in a down economy. Conducting a statistical analysis of the behaviors of the most successful peer to peer PAC recruiters and instituting those as best practices for a broad PAC fundraising campaign. The result? The next PAC campaign garnered over 600 new contributors, the goal was exceeded by 154%, and there was a 27% annual increase in receipts. Facilitating a PAC board strategic planning session that encouraged the Board members to jointly determine their fundraising goals and approach, thus maximizing their buy-in. Using our Purposeful PAC ™ methodology, we designed a new power point presentation and delivered training workshops to equip over 150 PAC Champions to recruit their colleagues to join the PAC. Buffalo Wild Wings is the nation’s fastest growing restaurant chain. Increased challenges in the external environment necessitated the development of a Government Relations program, including a vibrant Political Action Committee. BWW’s PAC is unique in that we collaborated with the Government Relations team to integrate their Franchisee network into prominent leadership positions within the PAC management structure. This enabled the PAC to go from zero to over $250,000.00 in receipts in less than one election cycle. The largest pharmaceutical industry PAC engaged us to investigate issues with PAC contributor attrition. The staff knew that organizational restructuring had an impact, but not to what degree or how to mitigate that very real impact on PAC fundraising. They engaged us to develop a persuasive messaging strategy to prevent further membership erosion. We conducted message testing research with five business units which revealed salient (and each different for each unit) messages that have been used to increase PAC participation by over 500 new members in only 4 months. We have also created PAC recruitment materials for senior organization leaders, PAC Ambassadors, and the PAC web site. PAC Ambassador training was conducted to equip the Ambassadors to confidently and persuasively ask their peers to join the PAC. We also served in an ongoing consultative role relative to all PAC operations and strategy. “Historically we have experienced strong PAC results, but with major legislative issues on the horizon, we anticipated a need to bolster our efforts. I interviewed many PAC consultants who told me what I already knew: that we “needed a peer to peer campaign” (which we had executed in the past). Amy knew that the challenges went beyond basic PAC recruitment tactics and common off the shelf solutions. We integrated a scientific approach to uncovering the reasons our PAC eligibles do and don’t contribute to the PAC. We now know what works and what doesn’t when communicating about the PAC, as well as how to build goodwill with our contributors.” –Ken Hiscoe Director/Team Leader, Political Affairs, Pfizer, Inc. Ken.Hiscoe@pfizer.com. –Marc Scarduffa, Vice President, Government Relations and Public Affairs, Pfizer, Inc. The Assisted Living Federation of America (ALFA) needed to increase member PAC contributions and commitment, as well as more involvement from their board of directors. For example, many member companies were reluctant to sign a prior authorization form to allow ALFA to conduct PAC recruitment. Further, another competing association that shares many of ALFA’s members was aggressively promoting their PAC; as a result, ALFA members were concerned about divided loyalties and contributing to two Political Action Committees. We delivered a presentation to the ALFA Board of Directors which demonstrated the rationale for PAC contributions beyond current legislative issues, and helped debunk common objections to PAC engagement. We also created a PAC fundraising manual that provided turn-key tools and templates for their member organizations to recruit for the ALFA PAC among their eligible employees. We have collaborated with the Dow Chemical Company for several years on numerous PAC and grassroots improvement projects. Our most recent effort involved facilitating senior executive momentum toward a major PAC fundraising campaign, creating all executive campaign communications, designing the campaign brochure and PAC recruiting presentation, training employee PAC recruiters, and providing counsel on PAC administrative management. In phase one of the campaign, 100% of the most senior executives contributed at the maximum allowable level. Average individual PAC contributions increased by 400%. The California Hospital and Healthcare Association wanted to increase their individual hospital member’s’ average PAC contributions, as well as help create a positive culture of PAC involvement. We conducted several member hospital teleclasses where we enumerated the scientific persuasion points relevant to PAC fundraising. As a result, they reached their PAC fundraising goal several months in advance, and saw a dramatic increase in their average member contribution. Fresenius Medical Care North America (FMCNA) is the nation’s largest provider of dialysis services and products for those suffering from kidney failure. An acquisition of another large dialysis provider presented new advocacy and PAC outreach opportunities for FMCNA’s government relations team. 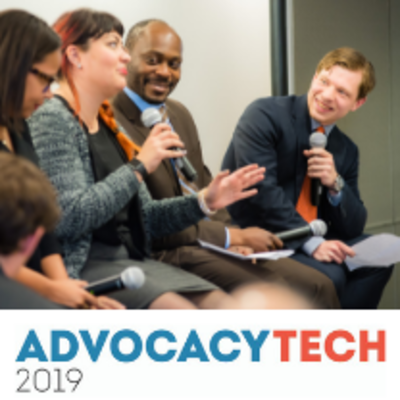 We collaborated with Fresenius’ direct lobbying and advocacy staff on several projects, including PAC/grassroots message testing and advocacy workshops. As a result, Fresenius now has 252 new Key Contacts, and has experienced an increase in PAC receipts. The ConocoPhillips government affairs team was tasked with integrating multiple PAC and grassroots cultures, both from a major merger and several large corporate acquisitions. Cultural differences were significant on how the PAC’s were managed. We collaborated on a variety of grassroots and PAC development initiatives, including, but not limited to: PAC and grassroots message testing, employee PAC and grassroots leader training, a persuasive turn-key PAC presentation, a new PAC recruitment campaign, a members-only web site featuring special streaming video messages, and a comprehensive employee grassroots leader manual. The PAC participation rate has increased 78% and receipts have increased 64%. Employee awareness of legislative issues impacting the company is clearly on the rise, and employees come forward on a regular basis asking to be on the grassroots leadership team. Membership on the grassroots leadership team has grown to over 200 employees in 14 states.